While studying abroad isn’t always roses and sunshine (think brain exhaustion from speaking in a foreign language 24/7, and a time difference that makes it impossible to watch The Bachelor or Grey’s Anatomy live), Granada has brought me a remarkable amount of happiness and a flood of new, crazy, wonderful memories. While I often talk to my family and friends about my fun adventures traveling to places like Italy, Belgium, Portugal, Holland (you get the picture), the most important part about spending a semester abroad is getting to know the city you’re living in. And, well, Granada has brought me so many memories. One of my favorite days in Granada thus far was my trip into the Sierra Nevada mountains. Back home, I’m an avid skier, having learned when I was just three years old and going every winter weekend since. 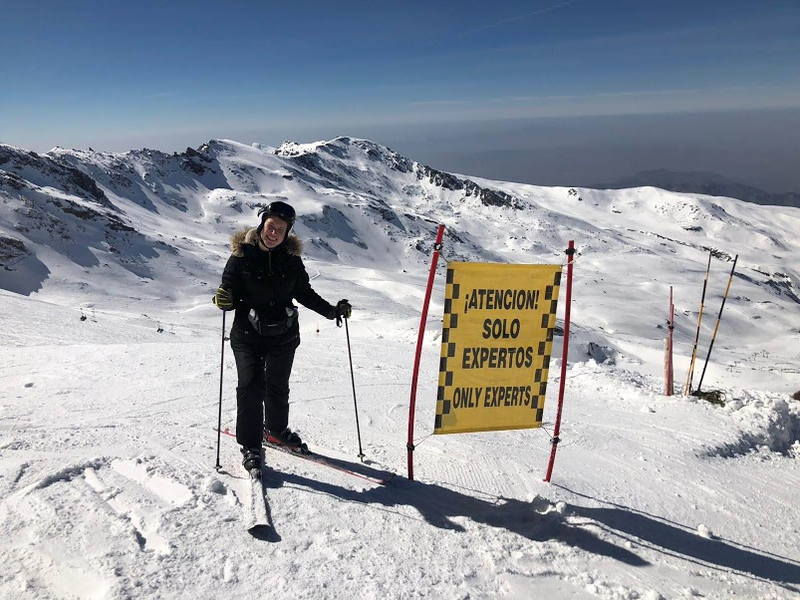 Because of this, a ski trip in the celebrated mountain range here was a non-negotiable activity; while my initial plan was a solo trip, I found two other girls in my program who share my passion and spent the day with them. After getting rentals and slope passes, we only had about five hours to enjoy, but we made it down a lot of runs and, more importantly, had the time of our lives. The mountains were absolutely breathtaking, and it was all around a day trip that I will never forget. 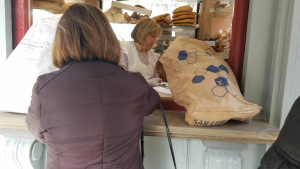 Besides the food that my host mom cooks, which is a daily highlight of my time here in Granada, I also make a few weekly trips to Eugenia’s bread stand, or, as everyone here refers to it, the Bread Lady. Even though it’s just the smallest detail of my daily routine, going to the bread stand has brought me a lot of joy and has become una realidad cotidiana of my semester abroad. My host dad, Paco, has also been great to get to know. While we share different political beliefs and cultures, I’m able to practice my Spanish while explaining my viewpoint on hot-button topics, and listen to his in return. 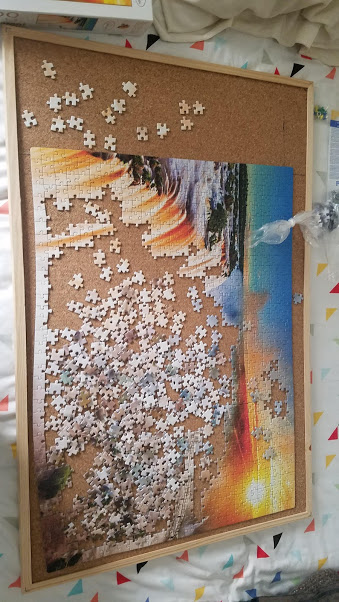 We have also been working on a 1,000 piece puzzle, which facilitates fun conversation and just generally makes my day brighter. 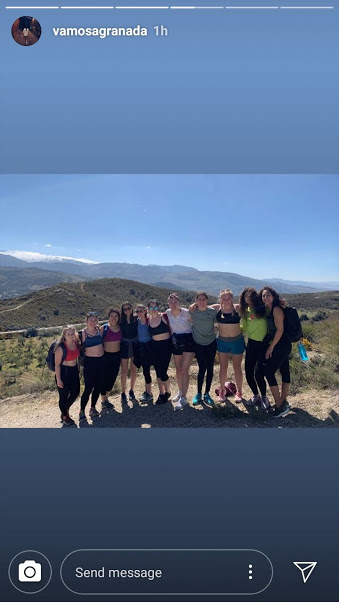 Finally, this past weekend I stayed in the city and decided to try out a hike called “Beas of Granada.” My friends and I posted the plan to our program of forty, and eighteen people showed up to hike with us! It was an amazing experience to get to chat and have fun while seeing the Sierra Nevada silhouette in the distance. 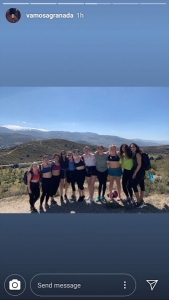 Additionally, the twelve mile hike (yep, we’re all sunburned) reminded us all how much we still have to see in our little piece of Spain. When I arrived here two impossibly short months ago, I came not knowing a single person. I went through stages of loneliness, feeling overwhelmed, and just general stress at having thrown myself into a completely foreign situation. However, I’m now surrounded by amazing friends and exploring a city, culture, and language in a once-in-a-lifetime opportunity. I couldn’t be more blessed for this experience, and am already feeling the semester slipping through my fingers too quickly. Next post: How is it already March? !